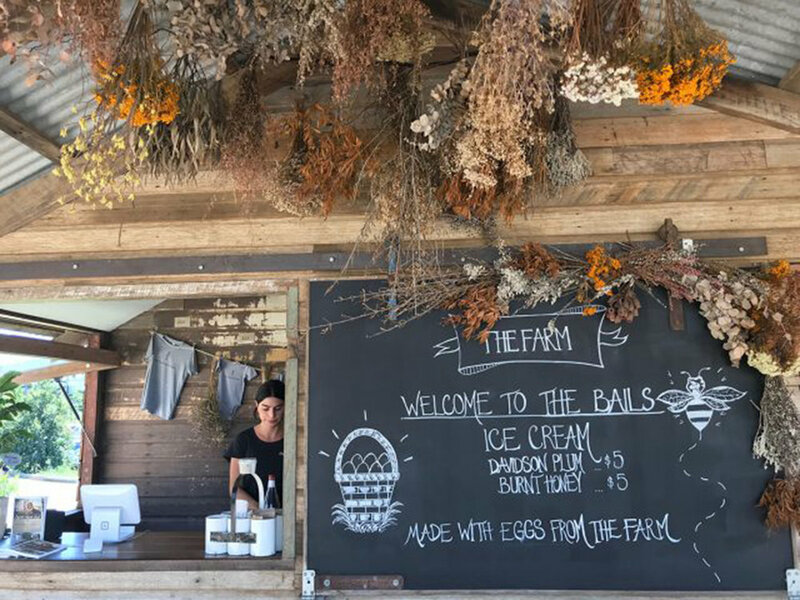 The Farm ice-cream is available in the Dairy Bails next to the playground and wooden welcome signs. Currently there are two flavours available: Burnt Honey and Davidson plum. Both flavours are made using eggs straight from The Farm and other local ingredients. All ice-cream is handmade by Mark Parry from Teven Valley Farm. Mark has won awards with his delicious creamy Burnt Honey ice-cream and the Davidson Plum is of course a fruit native to the northern rivers. The Farm has Davidson Plum trees growing on The Farm and recently collaborated with local European bee specialists Ally Young and Willow Hankinson to get both Kenyan and Flow Hives on The Farm. The Farm now has both native bees and European bees and the next step is to contribute farm honey to Mark’s Burnt Honey ice-cream. With the new bees on The Farm we have been running a number of great beekeeping workshops and we plan to host many more over 2018. Additionally, we’re running other bee-related courses. Coming up on the weekend of 20 and 21 January, Ally and Willow will be running Beginners Mead Making workshops and Beekeeping for Children workshops. For more information and bookings please visit www.thefarmbyronbay.com.au/whats-on/.